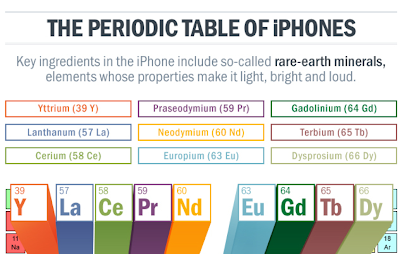 The Periodic Table of iPhones is an interesting infographic from Scientific American. 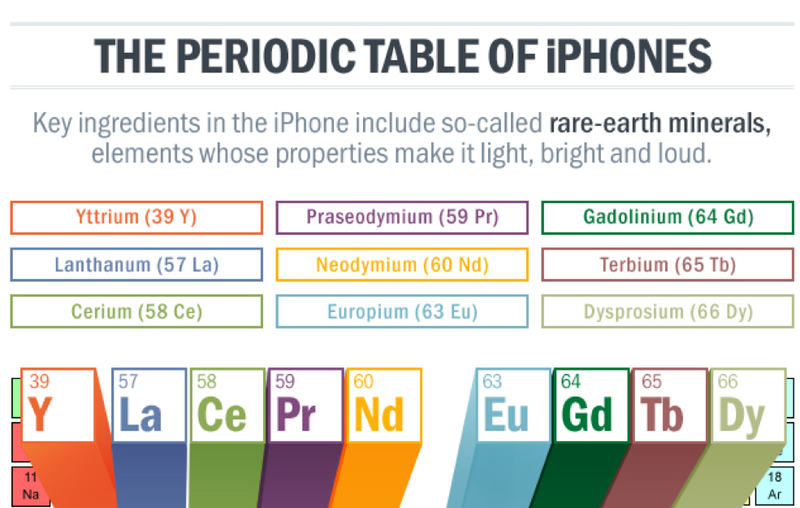 The infographic is part of a larger piece about the rare-Earth minerals that are used in the construction of iPhones. You can download the infographic here. When I saw the infographic it made me wonder about what the rare-Earth minerals found in other electronics and common household items. Investigating the answer to that could be a challenging assignment for high school chemistry students.